SALEM, Ind. 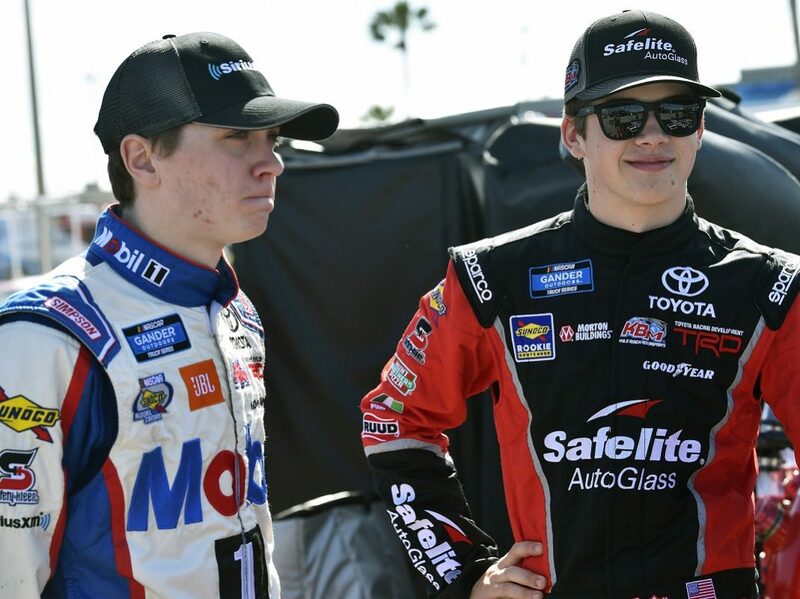 – Harrison Burton didn’t know until nearly midnight last night that he would be running Sunday’s Kentuckiana Ford Dealers 200 at Salem Speedway, but he converted the opportunity into a top-10 finish. 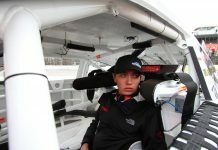 Burton was called in as a last-minute substitution for ARCA Menards Series point leader Christian Eckes, who fell ill after qualifying on Saturday and was receiving treatment at a local hospital as the race began on Sunday afternoon. Though the circumstances were sudden, Burton never faltered and leaned on his past ARCA experience at Salem to try and make speed, but got lapped early on by a roaring Michael Self and could never bounce all the way back due to the rain that ultimately ended the race after just 101 of 200 laps. 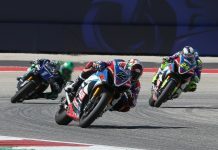 Burton finished eighth, one lap in arrears, but felt he had the speed to do even better than that if he hadn’t used his equipment up early in the race’s lone long green-flag run. “I wanted to get back going green bad,” said Burton. “That was not the way we wanted to start that race. We had a good car to begin and were charging through the field, and then I burned the right-front tire off, and it happened quicker than I remembered it. The last time I was here, I raced the night race. This time I just pushed too hard in the beginning, with this being a daytime race. Burton tried as he might to get through traffic Sunday, but as he quickly found out, it wasn’t easy to do. “It’s so hard to pass at Salem. Every time you get under someone, they just get the top rolling again and get right back by you,” said Burton. “For me, it was so hard to pass even guys that we were a lot quicker than. We would yard them, and then we’d struggle to pass again. 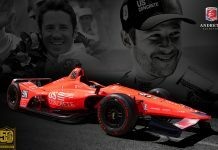 The hardest part for the 18-year-old was having to fill in for his Toyota teammate and fellow teenager Eckes, who Burton has grown up racing with and been close friends with for quite some time.